Vera Sacchetti (1983) is a design critic, co-curator of TEOK Basel and co-founder of editorial consultancy Superscript. She serves in a variety of curatorial, research and editorial roles, most recently as one half of the curatorial initiative Foreign Legion and associate curator of the 4th Istanbul Design Biennial – A School of Schools. Her writing has appeared in Disegno, Metropolis and The Avery Review, among others. At the ECAL Research Day with Xavier Veilhan and Stéphanie Moisdon. Photo courtesy of Zoe Cooper. I was thrilled to moderate a full day of conversations at ECAL in October, on the occasion of the 10th anniversary of the EPFL + ECAL Lab and the celebration of 10 years of research at ECAL. 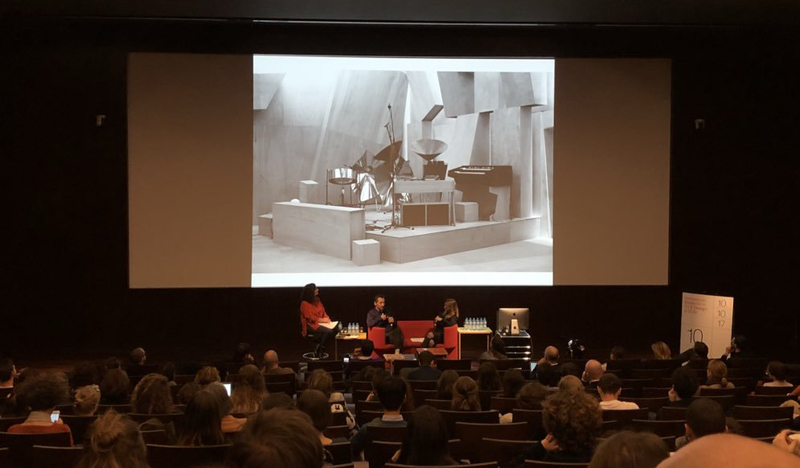 The ECAL Research Day was filled with thought-provoking debate and ideas, including the participation of individuals such as Skylar Tibbits from the MIT Self-Assembly Lab, Roel Wouters from Studio Moniker, or Fabio Gramazio from Gramazio Kohler Architects. More information on the event’s official website.